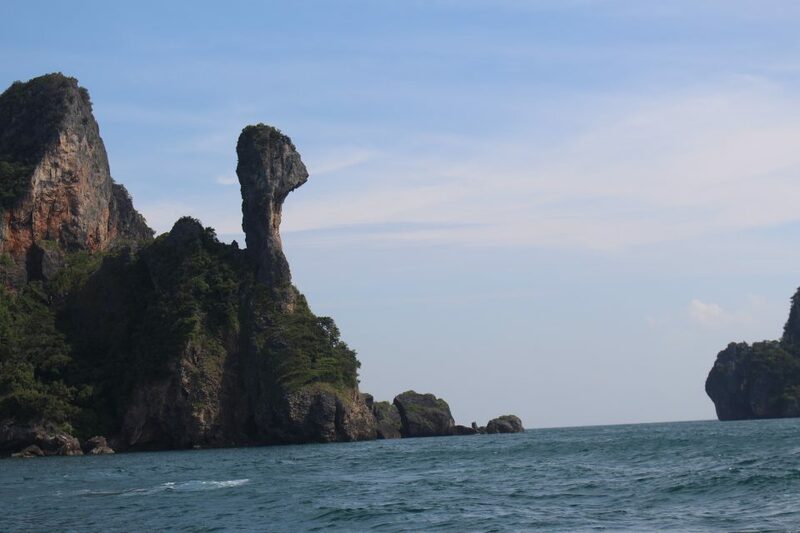 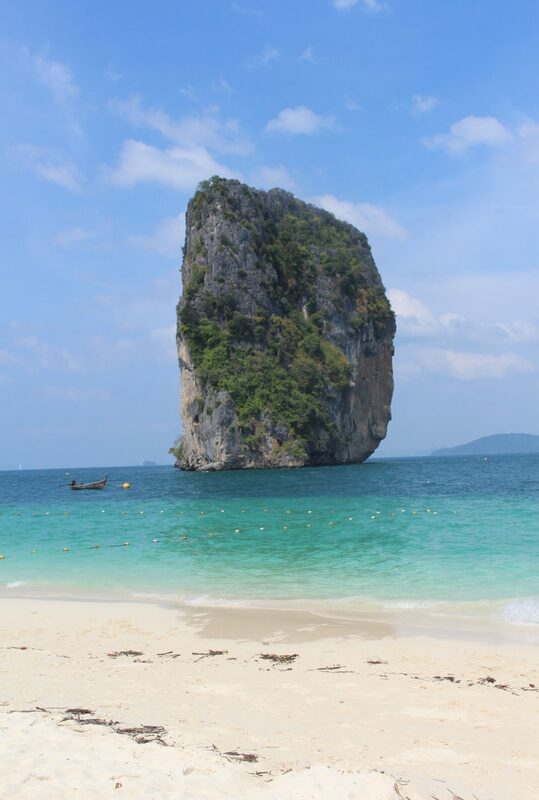 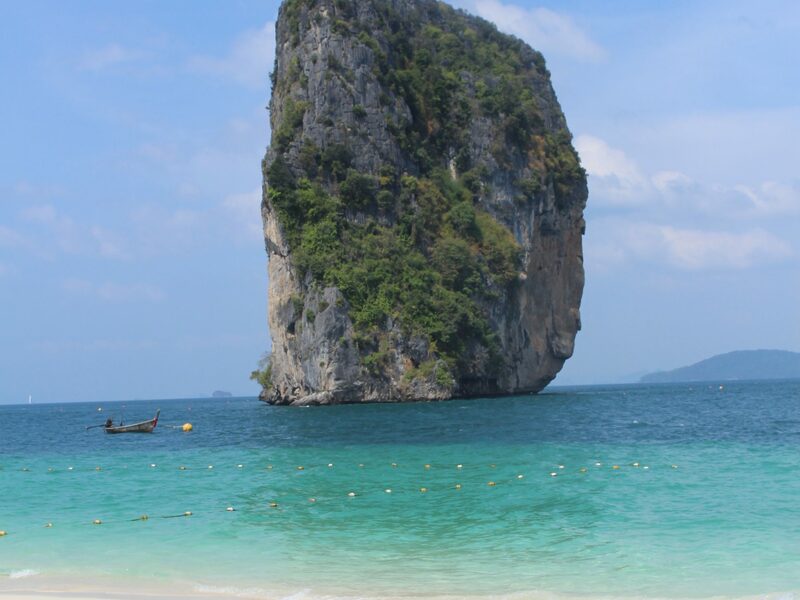 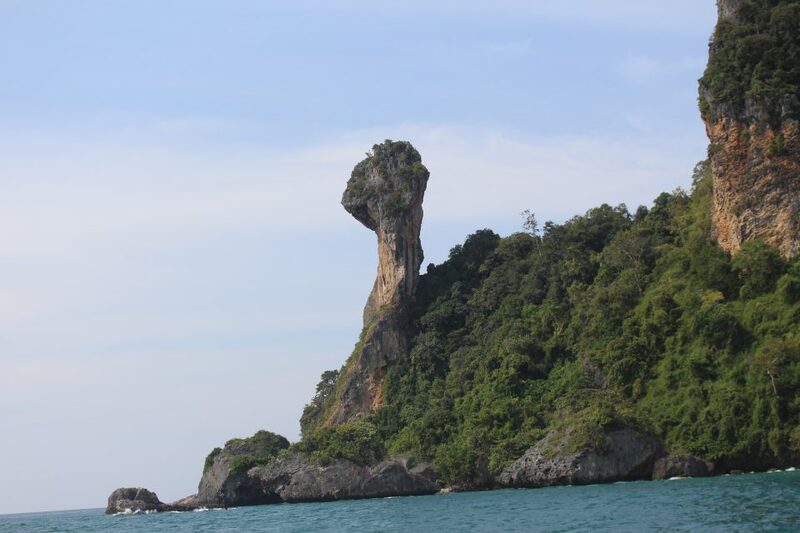 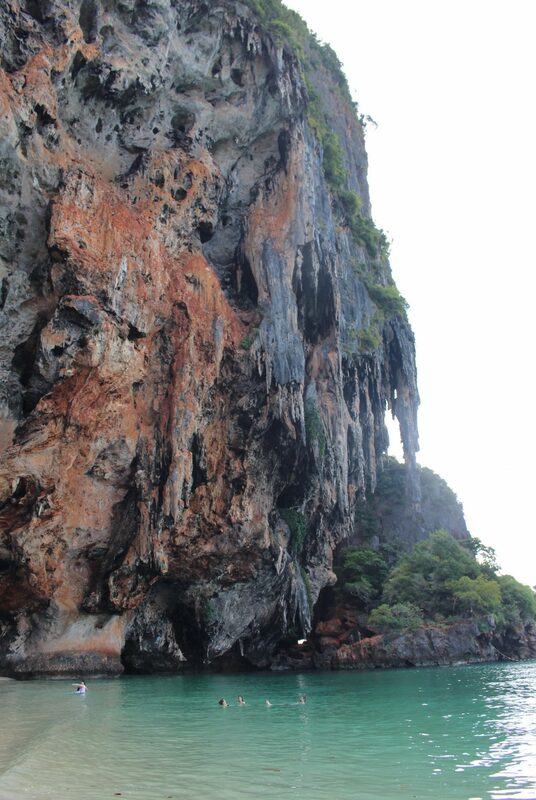 Today, we visited some of the islands around Railay Beach. 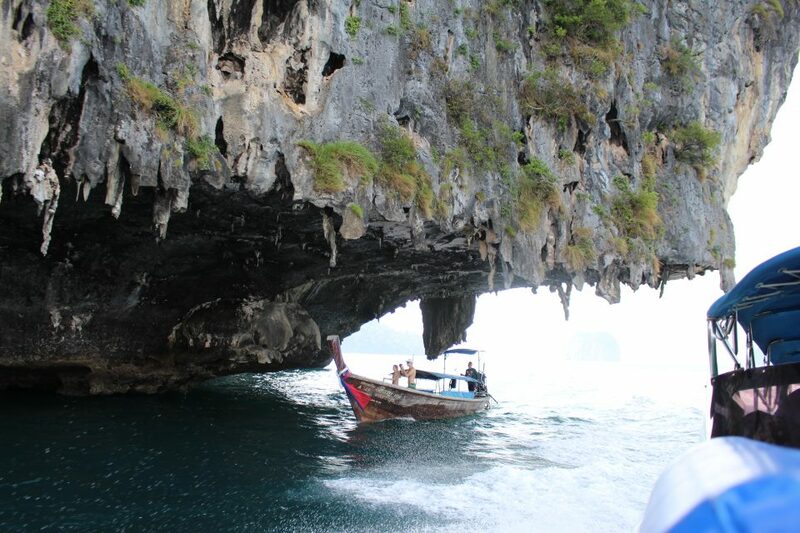 First, we took a pitstop at Princess Cave to “get our feet wet”. 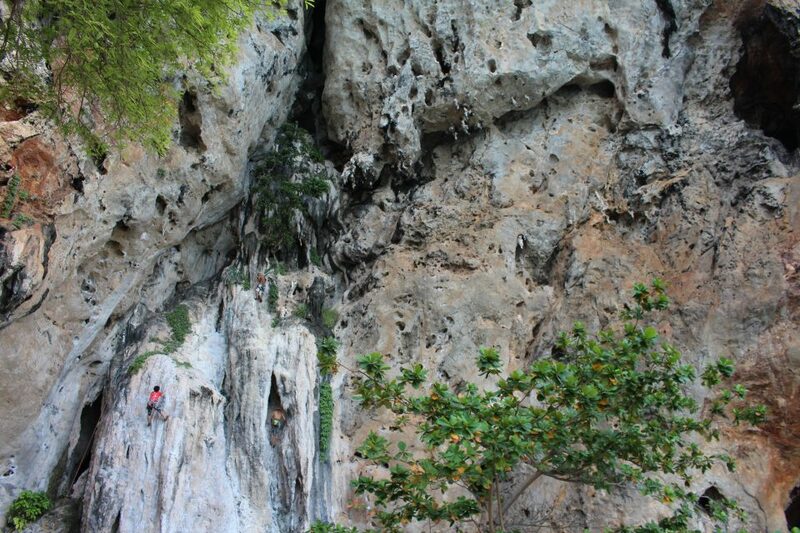 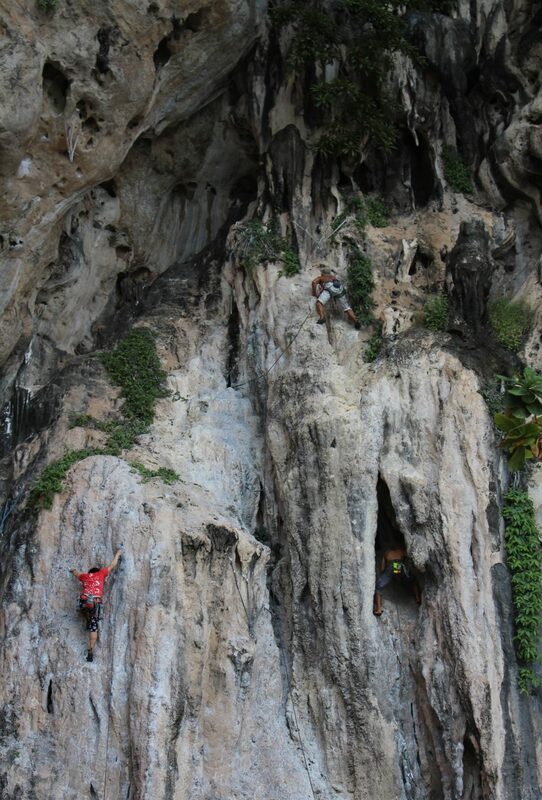 Rock climbers look like tiny ants up there! 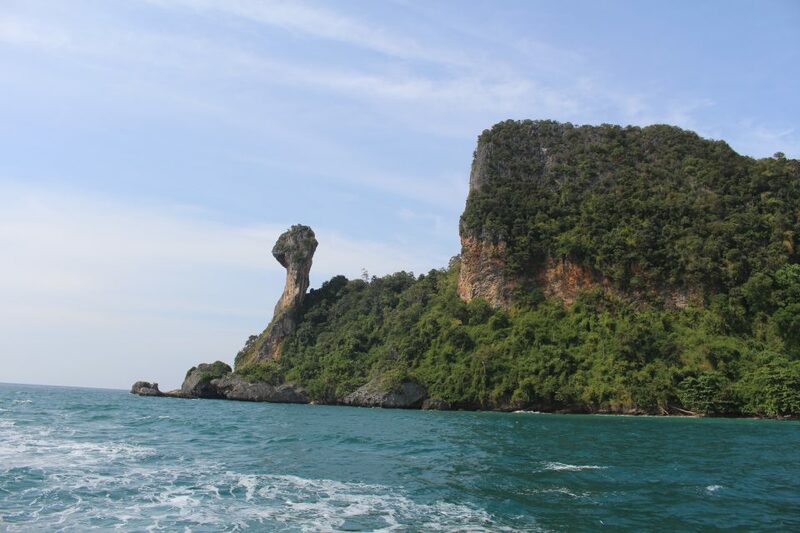 When we took to the high seas, we stopped at a few islands like “Chicken Island”. 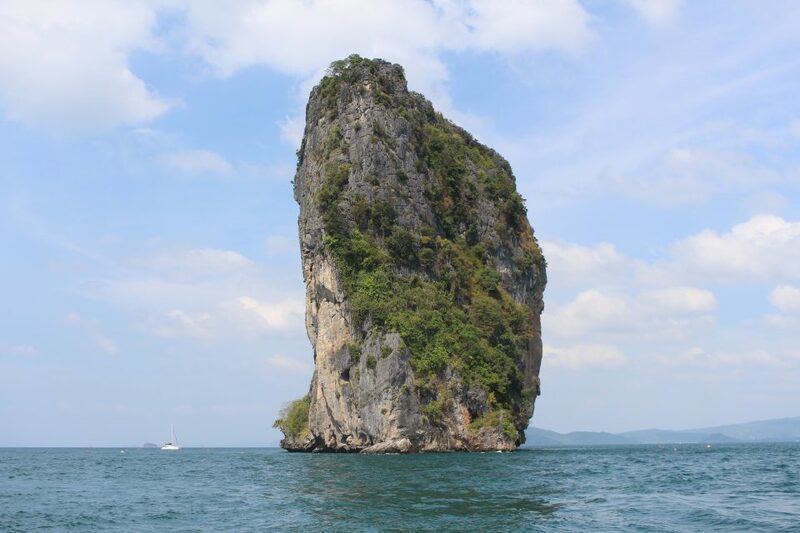 Depending on the water level, you can boat underneath this island. 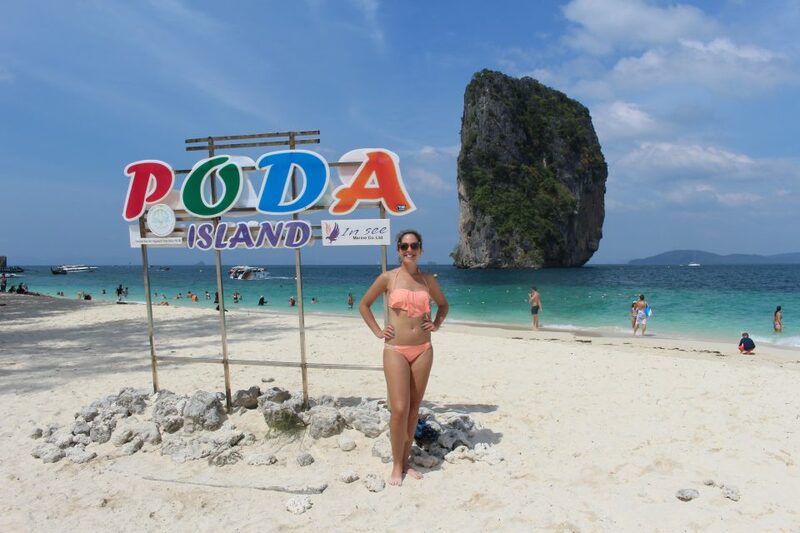 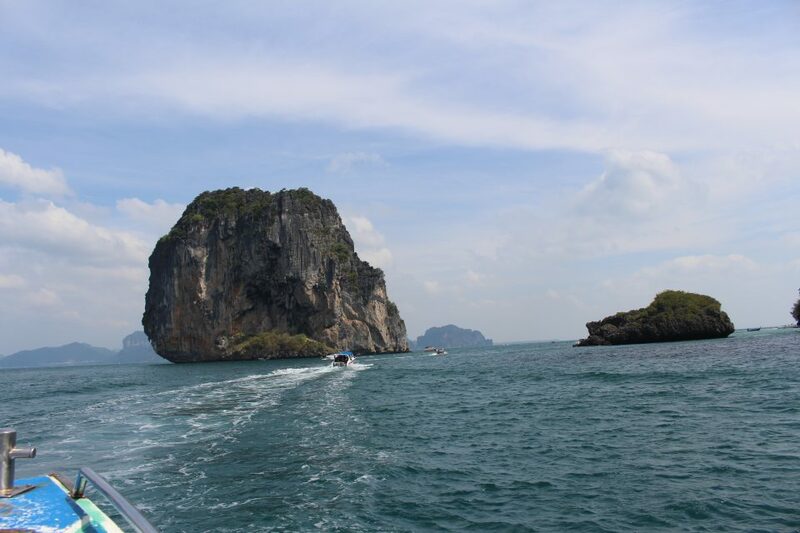 One of the most aesthetic limestone isles is the one surrounding Poda Island. 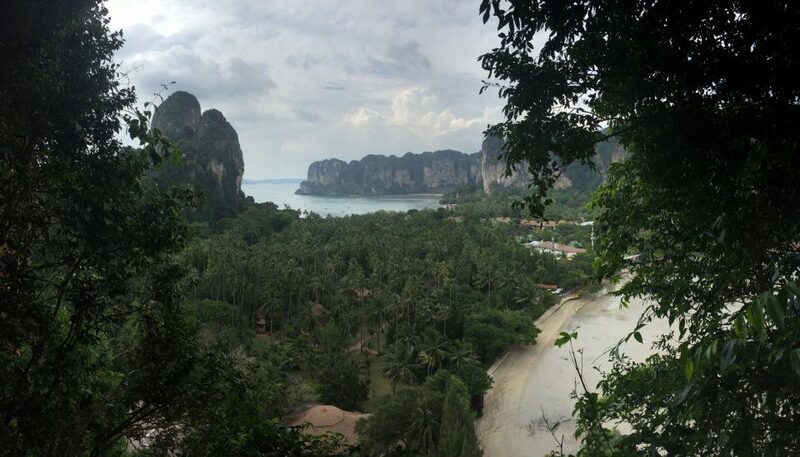 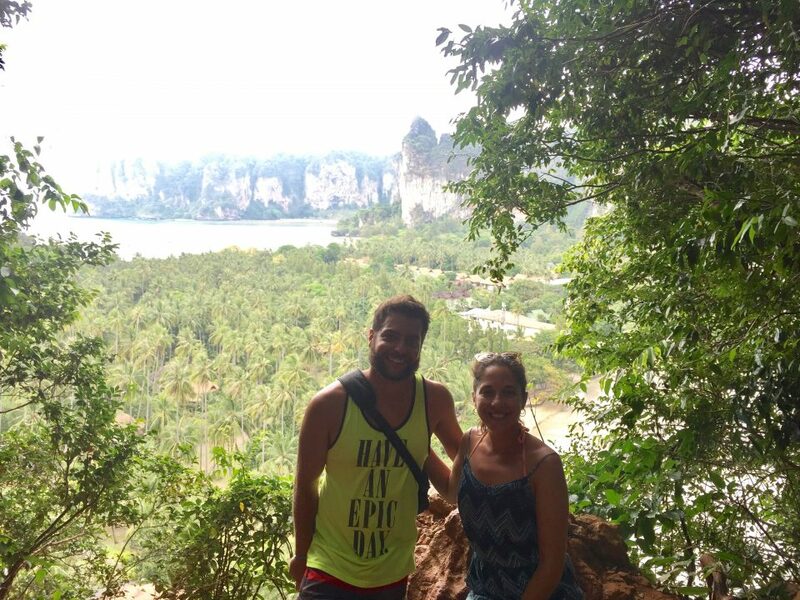 After visiting the islands, we ditched our sandals for shoes and rock climbed up to a great lookout point of Railay Beach. 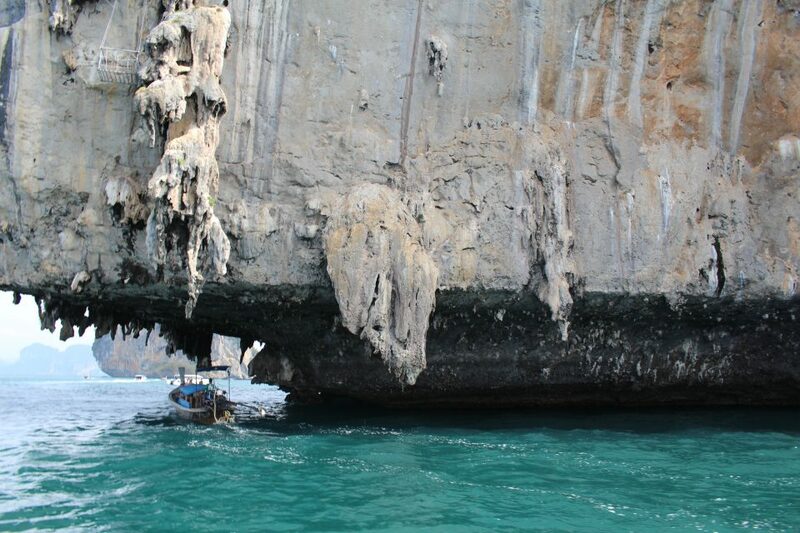 That is a lot of limestones. 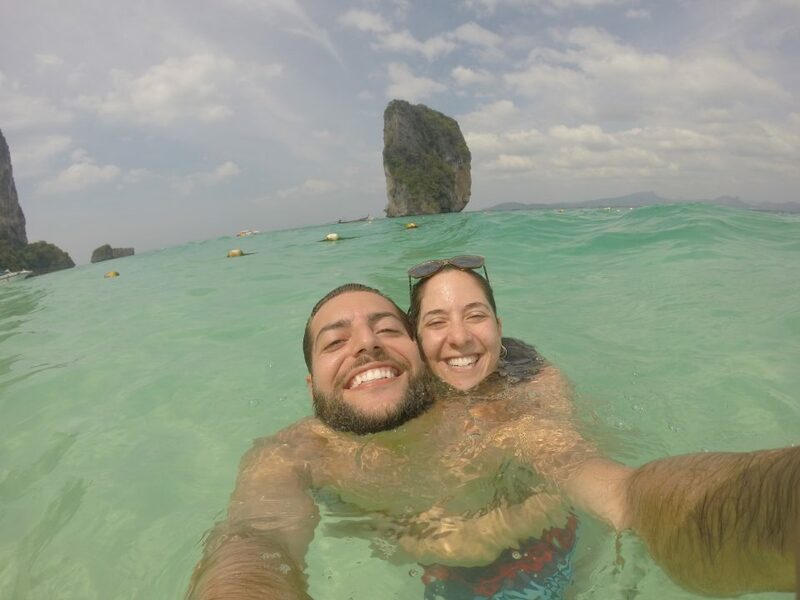 It is great to see you so happy.